This accordion wallet is a stylish and trendy way to stay organized on-the-go. Measures 3.5" x 4.5" x 1"
This wallet is a stylish and trendy way to stay organized on-the-go. This animal friendly faux leather wallet features two zip around compartments for extra secure storage. 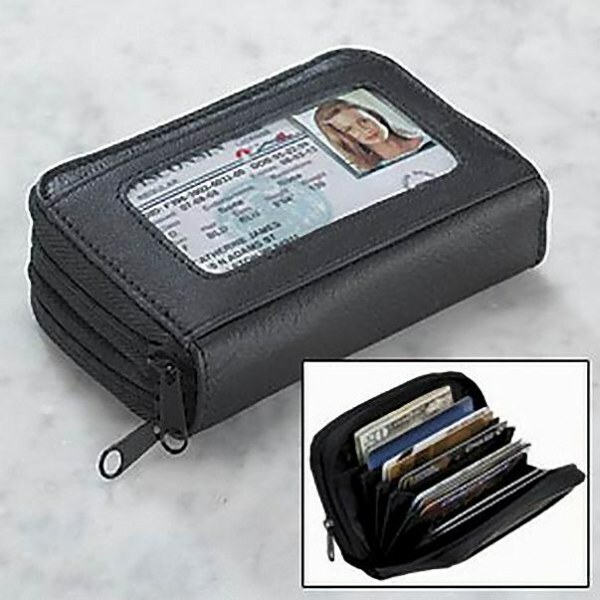 The first compartment includes 5 divided pockets where you can store anything from cash to gift cards.The exterior of the wallet features a clear finger glide ID window. Compartments too tight for standard cards. Cheap construction. 2 pockets tore out after using it for 3 days. Vwey dissatisfied with this purchase.